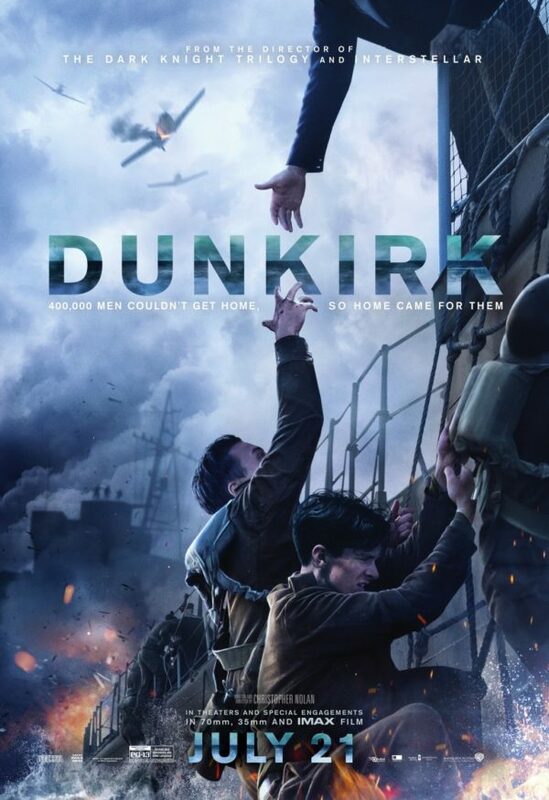 Starring: Fionn Whitehead, Damien Bonnard, Harry Styles, Mark Rylance, Tom Hardy, Barry Keoghan, Tom Glynn-Carney, and more. Another film is upon us in Christopher Nolan’s storied film career. This time, he delivers a story based on Dunkirk during World War II. Following his Dark Knight trilogy, ‘Interstellar’, ‘Inception’, and many others, it is safe to say there has been a large amount of hype leading up to this film but hopefully you and myself can be satisfied by the finished product that is Christopher Nolan’s ‘Dunkirk’. Christopher Nolan presents one of his finest pieces of work in the form of ‘Dunkirk’, if I can safely say from my own perspective. This film hits the ground sprinting from the very start and forgets what brakes even are. The intensity delivered by this film is simply astounding and it has me baffled that Nolan was able to keep such a frantic pace through three different perspectives within the film. These three perspectives come in the form of The Mole, The Sea, and The Air. Throughout the film, in classic Nolan fashion, he delivers a non-linear story by jumping to the different perspectives of the three and ultimately the three combine in some moments. As the jumps occur, you may be left breathless from a previous scene in one perspective and the moment you are taken into a new perspective, just when you may believe you have a moment to breathe, think again. This experience was truly something immaculate that I have rarely felt while watching a film. The dialogue in this film is few and far between but to my surprise, it felt just right. In my opinion, this felt like the right amount of dialogue because no one should have truly owned the show. This was a film of survival and heroism from many different outlooks. When there was spoken word, it truly meant something and when there was none, survival was the only goal. Owning the show, however, if I could give anyone high praise for spoken dialogue, it would have to be Tom Glynn-Carney playing Peter for a short but very powerful moment near the end of the film. Ultimately, the highest of praise goes to every actor involved. Spoken word or not, everyone felt right in their respective roles. Negatives for ‘Dunkirk’: I truly have none and if any, they are extremely minor and petty. For one, I had a hard time understanding some British accents at times. If anything, this was due to the heavy environmental sounds occurring during the spoken word but regardless, barely anything for me to truly complain about. Christopher Nolan has delivered something truly amazing with this film. A film based on survival and heroism. A fast-paced adrenaline rush from the start to the finish. An experience unrivaled to any film I have seen in a long time. I was so exhausted after watching this film that I was still deep exhaling long after I was finished watching it. I truly have barely anything negative to say about this film. It was such a positive viewing experience, I can not say much else to praise it. I highly recommend a watch for one of Nolan’s greatest pieces of work. Posted in 2017 Movies, Movie Review, The Oscars.Tagged Best Picture, Christopher Nolan, Damien Bonnard, Dunkirk, Fionn Whitehead, Harry Styles, Mark Rylance, The Oscars, The Oscars 2018, Tom Hardy.